Francis’ habit may have changed a bit through the years, but I believe that it can still be relevant. Most embarrassingly about my last post is that I did not once use the words penance, simplicity, or poverty. These are major oversights on my part, as they are at the very core of what it means to be a Franciscan, and among the primary reasons for wearing the habit. You see, Francis and his charism are all about conversion. Once the son of a wealthy merchant, Francis wore clothing that was expensive and flashy, full of color and drastically distinct from that of the peasant class. When he decided to leave the world behind, he dramatically stripped naked in the town square, renouncing all that he had once believed to have possessed, and put on instead a new habitus, that is, the status and way of life, of the poor. 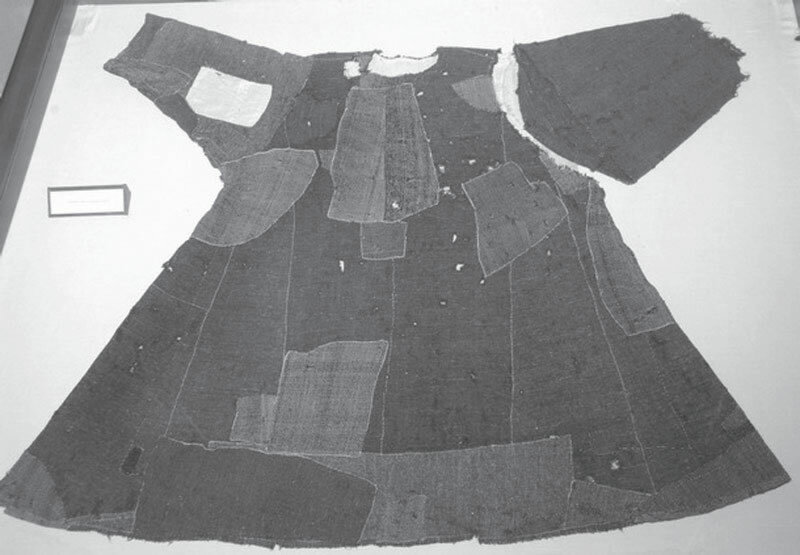 At that time in Assisi, the poor would have worn cheap, colorless and mended together fabrics, and for Francis, would have been the drastic external sign to represent his drastic internal conversion. The habit, however, was much more than simply an external sign, a point that I hastily made at the end of the last post. In reality, the fabric would have been terrible uncomfortable, insufficient in protecting one from the elements, and unlike the habit of today, completely identifiable with the most rejected and repulsive people of society: the poor and diseased. To wear such clothing has an obvious external effect, but the day-to-day internal effect is what is key here. Wearing a habit was a constant reminder to the friars that they were poor, downtrodden, superior to no one, dependent on God and neighbor, simple, and most of all, sinners that sought to do penance. Today, as I mentioned, the habit has evolved into something slightly different. For some, unfortunately, it has come to be a source of power and authority, respect, affluence, and judgment. I know that people wear it for this purpose, and I completely understand those who choose not to wear it as a reaction to such an abuse. But as I mentioned in the last post, the possibility of abuse and the changing nature of the habit does not mean that its original purpose cannot remain true. For me, it is a tangible sign of the major conversion I have made to enter religious life, and the many small conversions I am called to each day to die to self. For me, it is a constant reminder that I am a visible person in the world, and that I must strive to be a good example of a Christian no matter the situation. For me, at 95 degrees this week in Washington, it is absolutely a habit of penance, uncomfortable and unable to protect me from the elements, making it absolutely impossible to forget that I have limitations as a sinner, that I cannot go through the world by myself, and that God is the only one who is able to save me. For me, it is a choice for simplicity and modesty, never having to worry about what my clothing says about me, how much I have to spend on clothing to wear something new each day, or how I can look good; wearing the habit, I hope, makes me work to attract people to God, not to me and what I can offer people. Lastly, I’d just like to say that while each of these reasons expressed in the last two posts are great reasons to wear the habit at all times, I think discernment is needed each day as to when, why, and how I wear it. The negative effects, whether intended or accidental, perceived or real, need to be taken into consideration if we are to be pastoral people for Christ. The habit is a tool, a sign, an aspect of our life, but it is not something that should come at the expense of others (if such a situation exists.) The blessing that we have, and the truth that we as Franciscans can offer, is that we can just as easily take our brown habits off and put our denim ones on while still living with the same habitus, that is, our converted way of life. And that’s the key: whether one chooses to wear the habit or not, and I do believe that there are many good and bad reasons for both, we must always remember that we are people on a journey of conversion, unstable and in need of help, ever seeking to be people of God. For me, this is best remembered and expressed by wearing the habit. WOW! Thank you for writing this. Cardinal O’Malley, I think, must agree with you. During the conclave last March, he was a “sign of contradiction” among all the cardinals wearing his Capuchin habit. The Lord bless and keep you, young Casey! I appreciate reading your blog. All the best to you! Brother Casey, thank you for the post. I look forward to reading more of your posts.